Halston Z-14 by Halston is a delightful blend of cedar, amber and lasting citrus that brings liveliness to your casual encounters throughout the day. Introduced in 1976, it helps you show your confidence and gives you the energy to pursue each and every encounter with boundless enthusiasm. Apply Halston Z-14 before an informal lunch with friends or a day at the park with your family and enjoy a boost of warmth that will last all day. This is an oldie but a goodie! Stays fresh smelling all day--a real man's cologne and aftershave! Love it!! 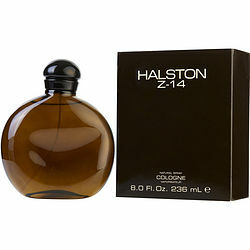 Halston Z14 after shave is all my husband likes - refreshes without being too heavy. The service and price are great.